Arsenal took the lead in the 16th minute. Kolasinac’s deep left-wing cross found Iwobi, and his volleyed finish took a decisive deflection off Terence Kongolo. Henrikh Mkhitaryan almost marked his return from seven weeks out with a foot injury with a goal, but he could not beat goalkeeper Ben Hamer at the end of a flowing Arsenal move. Then he was involved in Arsenal’s second before the break, Mkhitaryan teeing up Ainsley Maitland-Niles for a driven low cross that Lacazette tapped in at the back post. Huddersfield almost replied in the 50th minute, but Adama Diakhaby’s driven effort from a low Kongolo cross was saved comfortably by Bernd Leno. Iwobi should have added his second after Mkhitaryan fed him, but he fired his shot into Hamer’s chest, while Leno denied Diakhaby again, and Huddersfield’s home debutant Karlan Grant had an effort cleared off the line at the other end. 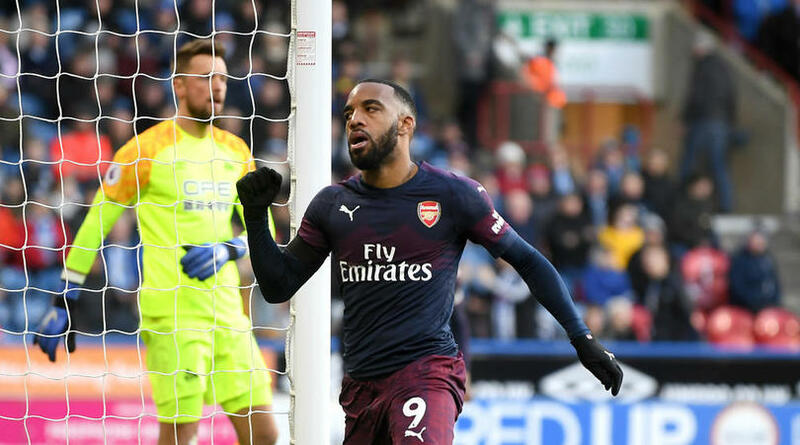 The Huddersfield fans finally had reason to celebrate after four games without a goal as Kolasinac turned into his own net in the 93rd minute, while Leno then saved from Juninho Bacuna to protect the Gunners’ victory. Huddersfield’s survival chances are ever more desperate. A 13-point gap to make up in just 12 matches, considering their almost total lack of goal threat, appears an increasingly impossible equation. The absence of Ozil and Ramsey created a spot for Mkhitaryan, and the Armenia international was lively, if understandably a little rusty on his return to action. If the Gunners are to finish in the top four and also push for the Europa League crown, Mkhitaryan will have a big role to play. Deflected goals usually give goalkeepers little chance, but Hamer seemed to have time to react after Iwobi’s weakly struck shot hit Kongolo. The goalkeeper, making a fourth Premier League appearance of the season deputising for Jonas Lossl, reacted too late to stop the tame effort. Arsenal’s next two games are both in the Europa League as they take on BATE in the last 32, with the Gunners returning to Premier League action at home to Southampton on 24 February. Town, who are also out of the FA Cup, are away to Newcastle United a day earlier.